Floor My Place – America’s finest, online flooring store. Floor My Place guarantees 100% satisfaction on all its hardwood, laminate, tile, bamboo, carpet and rugs. We provide a full refund on return of product within 15 days. We are also committed to having the lowest prices. 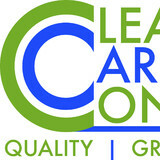 At CCC we offer quality service for clients who would like a clean home. Hardwood floors, Tile & Grout, Carpet cleaning services. Call one company to take care of all your flooring needs. We will have you enjoying your new clean home the same day! 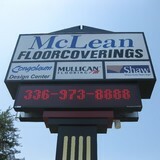 McLean’s Floorcovering was founded in May, 1991. McLean’s has been providing floorcovering services to residential and commercial customers alike in Wilkes and surrounding counties such as Watauga, Ashe, Alleghany, and Caldwell. McLean’s currently employs five full time highly experienced sales people and schedules installation through one of their nine dedicated installation contractors. With a wide selection of floorcovering from such name brands as Shaw, Bruce, Congoleum, and Armstrong, as well as many others, McLean’s ensures not only excellent service but a huge selection of superior products. Pineville Rug Gallery has served the Carolinas for over three decades, offering the finest quality Persian and Oriental handmade rugs. We work hard to help you find the perfect rug for your home, office, or place of business. Our selection ranges from the new lighter toned Oushak rugs to traditional bold colored Persian rugs. We have both new rugs and and a large selection of semi-antique, antique, and musuem quality rugs. All of our rugs are made from natural fibers: wool, cotton, or silk. The dyes used by the artisans are vegetable based, and each knot is hand-tied. They do not off-gas noxious and harmful fumes when you bring them into your home. Your smallest children can safely play on one of our rugs! We specialize in the repair and cleaning of all rugs. We are the only facility in the area that is equipped to hand wash and air dry your rug. This process not only cleans, but restores the rug to its former beauty. We are experts at odor removal, and experienced in all aspects of repair. Don't trust your fine rugs to a commercial cleaner! They require expert handling and knowledgeable technicians.The good news is that our cleaning and repair service is very affordable. We encourage you to visit us, It will be an experience you won't soon forget! Floor Coverings International of Piedmont Triad is a leading shop-at-home flooring provider who sells and installs hardwood floors, carpet, tile and more by bringing the flooring store to your door! We will design the perfect flooring for your home in the Winston Salem and Kernersville area, from options including hardwood flooring, carpet, stone, tile, cork, bamboo, green flooring products, and much more. Enjoy the experience of a flooring boutique right in your own home. Call now for a complimentary, in-home consultation! Lake Norman Flooring is Lake Norman’s one stop shop for all your remodeling needs. We offer hardwood, laminate, tile, carpet, granite and custom cabinets. Lake Norman Flooring has been in business for 6 years. Owner Kathy Wheeling has been in the business for over 10 years. 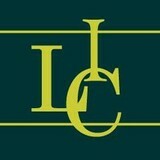 Our goal is to provide excellent customer service and provide competitive pricing on all floors. Our goal is to make your remodeling project a fun process to spruce up your space. Our Design Specialist can create a custom look for your space. Luxury wood flooring for residential and commercial projects. “The Greyne Experience” Greyne Company provides fine hand-crafted wood flooring by integrating tradition with modern, global design. Sculpted by hand and finished with luxe stains and coatings, each floor is a NATURAL genuine piece of art. As we aspire to help you in your pursuit of living well, Greyne will create a custom floor that is uniquely yours. With your discerning taste and eye for the rare and exquisite, each floor will be the ultimate expression of your personal style and sophistication. The “Greyne Experience” will bring your masterpiece home. 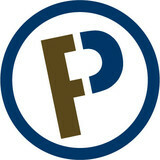 Welcome to Furnish My Place – America’s finest, online flooring store. Furnish My Place guarantees 100% satisfaction on all its hardwood, laminate, tile, bamboo and rugs. We are also committed to having the lowest prices. If you find the same product at a lower price from any other flooring dealer, we will beat the price by 10% guaranteed! Visit our NEW 20,000 sq ft carpet and flooring store located beside our previous location in Conover, NC. With a 10,000 sq ft showroom of Carpet, Tile, LVT, Hardwoods, Laminates and Vinyl, plus a 10,000 sq ft warehouse of carpet and vinyl you have one of the largest selection of flooring in the Hickory, NC area. 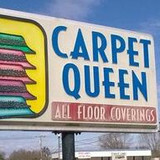 Locally owned and operated since 1996, Startown Carpet & Floor Covering has built a reputation in the Conover, Newton, Hickory NC and surrounding areas for quality service and customer satisfaction. Come in to see our large selection of Carpet, Hardwood Flooring, Laminate, LTV, Vinyl, Ceramic Tile, Rugs, Designer Counter Tops and Blinds. With major manufacturers like Shaw Floors, Mohawk Flooring, Smartstrand, Stainmaster, HomerWood Premium Hardwood Floors, Somerset Hardwood Flooring, Beauflor, DuraCeramic, Congoleum, Earthwerks, Flexitic, Fausfloors, Mannington, Moduleo, and Tarkett it is quite easy to find what you want for your home and commercial flooring needs. Our design team can help you choose the colors and styles that coordinate with your home’s interior at a price that will fit your budget. At Bill Hege Carpets Inc we believe that it should be all about you. Our main goal is to do everything possible to make you satisfied. • Family Owned & Operated • Combined Sales Experience over 100 Years • Professional Installation • Hundreds of Colors & Styles • Guaranteed Best Values • Free Estimates • We Buy Direct From The Manufacturers • Fully Licensed & Insured Bill Hege Carpets Inc carries a complete line of products from the world's leading manufacturers. Click on the links below to find out more about these products. Bill Hege Carpets Inc has experienced, quality minded professionals in both residential and commercial markets. Carpeting is subject to a significant amount of wear and tear, so it’s crucial to make sure a new carpet installation is done correctly, or that an existing rug is maintained properly. Enter Mooresville carpet dealers. From carpet repair to custom carpet design, these professionals specialize in anything and everything that is carpeting, and can help ensure that your Mooresville, NC home’s new rug starts off — and stays! — in great shape. Carpet dealers in Mooresville, NC help homeowners choose the correct carpet covering for their floors, and also assist with carpet maintenance. This includes determining factors like material, carpet pile, durability, color and size, as well as helping with any custom carpet design. After completing the initial installation (which includes removal of the old flooring, if applicable, and surface prep), they may also handle follow-up maintenance requests such as carpet cleaning, carpet repair and carpet stretching. Carpet dealers might work closely with North Carolina contractors, interior designers and others in the home building and home improvement industry. Here are some related professionals and vendors to complement the work of carpet dealers: Interior Designers & Decorators, Design-Build Firms, Specialty Contractors, General Contractors, Home Builders. Find a carpet dealer on Houzz. Narrow your search in the Professionals section of the website to carpet dealers in Mooresville, NC, and read reviews and ratings for pros in your area.